Proactive monitoring and a proprietary LifeLock Identity Alert® System are foundations of LifeLock identity theft protection services. Using a combination of unique data repositories such as credit and wireless applications, black market websites, change-of-address applications and more across more than 250 enterprises; predictive analytics to assess fraud potential; and a leading-edge technology platform, LifeLock identity theft protection services provides monitoring and cross-industry visibility to help detect fraud. In addition, LifeLock Ultimate Plus™ offers even more: an extended network and enhanced monitoring technology† plus scanning of public record databases and file-sharing networks. 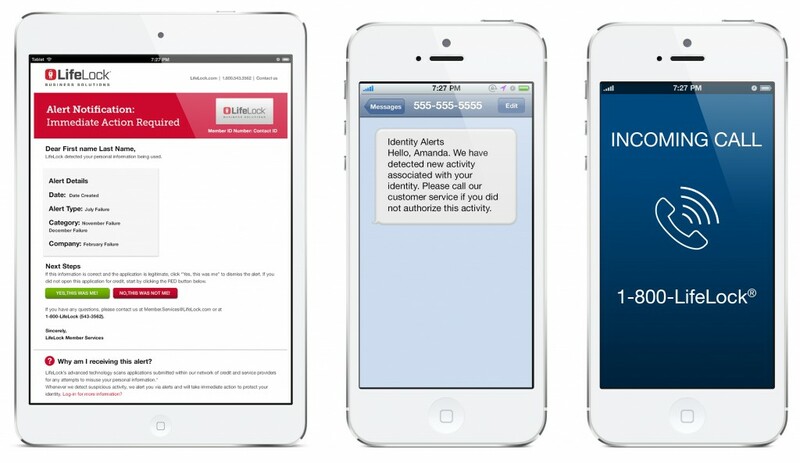 LifeLock reviews each attempt to misuse your identity, and sends you an alert when we detect an exposure or threat using our proprietary Not Me® alert system. Actionable alerts are sent by email, SMS text or IVR.†* Our Not Me® verification technology allows members to respond to indicate whether it’s a legitimate transaction (e.g. member willingly applying for credit) or whether it’s attempted identity theft. If fraudulent activity is confirmed, our Identity Restoration Specialists take action. They will walk a victim through the steps, send necessary materials and even facilitate calls and requests in order to help clear the victim’s name. Our resolution and remediation services are backed by a $1 million guarantee‡. If you become a victim of identity theft while you are a LifeLock member, we will spend up to $1 million to hire experts, lawyers, investigators, consultants and whatever else it takes to help your recovery. A dedicated Identity Restoration Specialist will personally assist you every step of the way in the recovery process. *Fastest alert requires member’s current email address.